It all started in a small Spaniard town called Alcalde located in Northern New Mexico. I began working at the age of fifteen at a small place called Chamisa Inn, where I was inspired and greatly influenced by Chef Ruby Gallegos, who was a motivating force in my pursuit to becoming a professional chef. Another source of inspiration was my grandmother whose homemade cooking instilled a sense of curiosity in me about the many culinary customs and practices that always seemed to translate into mouthwatering dishes. I vividly remember grandma’s steam filled kitchen and the sweet scent of spices, meats and fresh vegetables that carried a warm and natural sense of Welcome to anyone who entered our home. This was not merely cooking, this was a way of life for my family that has been passed on from generation to generation. It is with great pride and joy that I share with you, my friends and growing list of clients, the wonderful and varied tastes of my rich culinary culture. My apprenticeship began in 1995 and was completed in 1996 with an award for Apprentice of the Year. This program was a big part of my early career and served as a foundation for honing my skills and provided valuable experience as a professional chef. Certified Executive Chef Douglas Lewan trained me the way French Chef Augusta Escoffier trained all of his young apprentices. As I finished my program, I entered various mystery basket competitions and gradually worked my way up the latter from all kitchen stations. Awarded a silver medal in 1998 and two bronze medals in 1999 in the hot food mystery basket competitions, I was critiqued by Certified Master Chefs and had the opportunity to compete against respected top chefs from the southwest. Each and every one of my fellow colleagues and peers have undoubtedly allowed me the benefit of experiencing different perspectives and approaches to the culinary arts. The experience I gained from working at this exquisite Hotel, Casino and Resort provided a big boost in my confidence and knowledge in working as a professional chef. The events I cooked for were primarily made up of VVIP clients with culinary themes so diverse that each event provided an opportunity to learn something new. 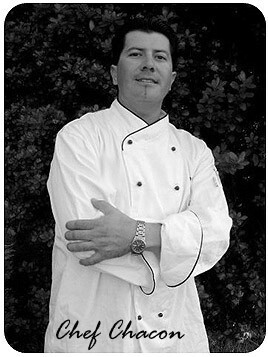 My title was Master Cook/Sous Chef and I worked directly under Executive Banquet Chef Richard Ross, Certified Master Chef David Kelleway, the main Hotel Executive Chef and his Assistant Executive John Bray, all very respected chefs that moved from the Mirage Hotel to open the all new Mandalay Bay in 1998. My time at the Mandalay Bay was truly amazing and provided me with a unique opportunity to cook for many celebrities ranging from actors, musicians, professional athletes as well as titans of industry. While working at the Mandalay Bay, I made the acquaintance of the Sous Chefs from the famous Border Grill Restaurant “Two Hot Tamales”. My talent and passion for cooking were recognized by the senior staff and I would soon be employed by the Border Grill restaurant while maintaining my responsibilities at the Mandalay Bay. With grueling hours between both establishments, I reached a defining point in my career a short time after and decided to embark on an independent culinary path that would begin the next chapter in my life and bring me to the San Francisco Bay Area. The journey to Northern California was one road trip that I will never forget! The San Francisco Bay Area is a beautiful place as diverse in history and culture as my culinary past and I’m proud to call it my new home. It is destined to be a place where I will write the next chapter in my life as a professional chef, but with a sense of entrepreneurship. As the Executive Chef for a very prestigious University in San Francisco, my passion for cooking has taken a life of its own and I’m excited to bring my culinary talents, experience and passion for cooking to "You" as your Private/Personal Chef. I look forward to serving you. Remember to “Always Cook From Your Heart”.